Ah, it's been a stressful week. Our car got broken into, we had our car manual along with the registration and insurance in it and it's pretty leather cover stolen. Mmhmm, they stole a car manual and oh ya, our tire pressure gauge too. Yes, it was nice one too. You may think, why would they do that? We thought so too but apparently the manual itself for our car model is worth $100. *Jaw Drop* Yes, these idiots decided to break into our car, leave us a $500 deductible and several grand in damage to steal a car manual and a tire pressure gauge. Unbelievable, right? I need to unwind. One of my favorite ways to unwind, outside of staring at cute puppy faces, is to play video games. I release tension and frustration and umm...aggression? As that may just be needed in my case lately. 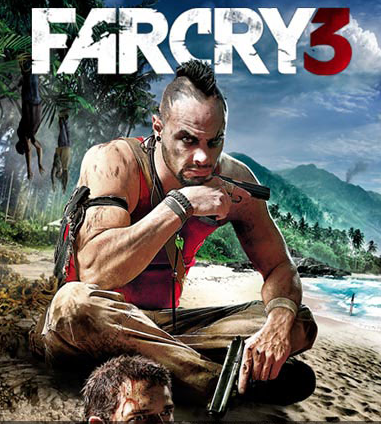 Lucky for me, Far Cry 3 is on sale today as Amazon’s Gold Box Deal of the Day. This $60 game is now on sale for $35 on the XBox, $35 for the PC and $55 for the PS3. It comes from the creators of Assassin's Creed so you already it's going to be great. You use an arsenal of weapons and explosives to run gun-first into the action and deal with your enemies on a beautiful island playground. The story, written by a Writers Guild Award winner, takes you to the darker side of humanity where warlords traffic slaves, outsiders are hunted for ransom, and the need to embrace this same darkness in order to save your friends. Speaking of friends, you can also play online with friends or do a 4 player campaign. To level up, you need your friends' support. Alright, this sounds perfect for me right now to kick back and forget some of the stress that's rapidly piled up on my head this week. And if you RT the following, Clever Girls is also giving away 5 copies of Far Cry 3 today via Twitter to folks who RT the following. You can copy and paste it in twitter or just hit the RT button on mine. Buy It: Quick, get it today!! Far Cry 3 only $33 as the Amazon Gold Box Deal of the Day vs $60. I played the first Farcry when it was released, it was very cutting edge, I'd love to rent this one and see how the series has grown! I love that you play video games! Although I play the tamer ones (like Super Mario Bros.) it's a really fun way to unwind. I have never played this but my hubby loves games like this, I will have to send him your link so he can check it out! This looks like something my husband would love. Thanks so much for sharing! I hadn't heard of this one before. Thanks for sharing. I don't have an XBox. But this sound interesting. It is too grown up for my kids for sure. Thanks for sharing. i bet my husband would love this!! I really do need a way to vent & get out the anger. This sounds like a great idea. We don't have an XBox, but I tweeted about your review too. I am so sorry about your car! This game sounds like one that hubby would just love, I'm going to have to tell him about it. Thanks for sharing! I used to love playing games like this but at the moment I don't have time.